Our clients use Software accounting tab in TNI 2 a lot. 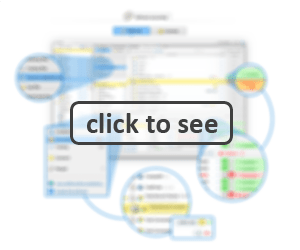 In fact, it’s safe to call our current software asset managing tool unique. 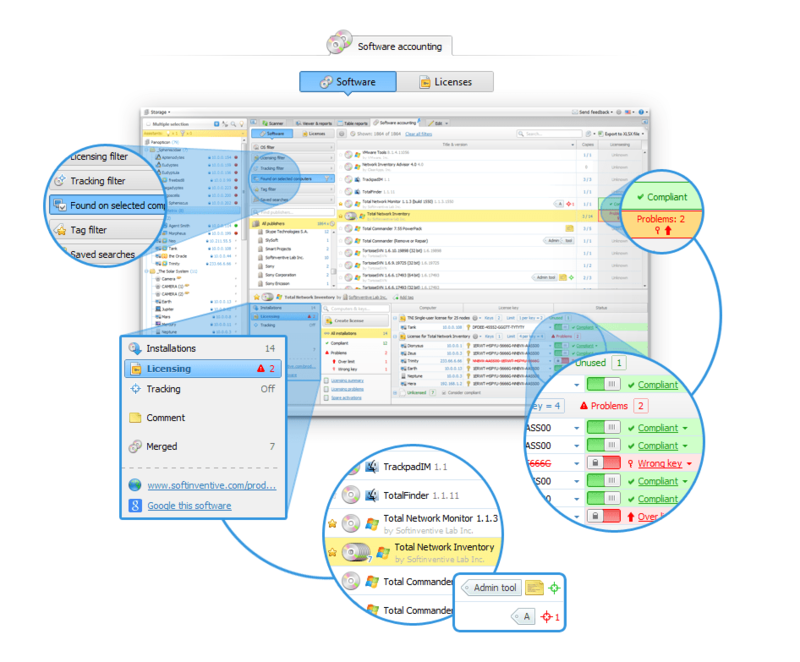 Users love how it lists all software in your network in one place, and how you can expand any item to see all the installations and license keys at a glance. 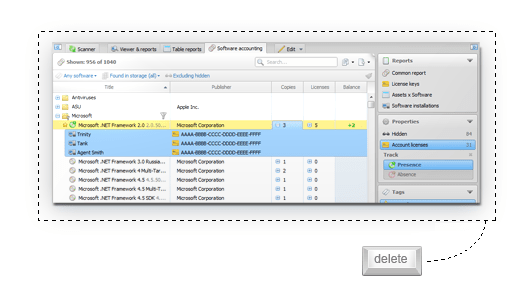 You can also manually add license keys to specific copies, monitor their compliance, etc. Surprisingly, these features combined are hard to find in other inventory tools. Still, when we designed the current version of Software accounting for TNI 2 we saw it as a secondary function, a pleasant bonus feature for those who would find it useful. Well, it turned out, almost everyone does. We started receiving feedback about Software accounting since day one with questions and feature requests. And we hear you. The first thing we did before reinventing the SAM tool was destroying the old one. Then we went to the whiteboard and started brainstorming this thing for real. The upcoming update is unique and massive. It’s big enough to shift the major version of the product. Frankly, it could be a product of its own. So, now you know. Stay tuned for beta-testing and further news, and have a nice weekend! Our list of distributors continues to grow! Please welcome Dekkers Intermediair BV as our official distributor in Netherlands and Belgium. Dekkers Intermediair has over 14 years of experience in the field of distributing high-quality IT systems management software. 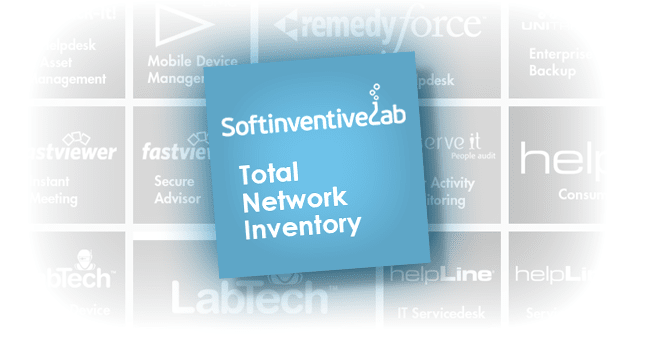 Total Network Inventory is now one of quite a few brilliant products in DI’s portfolio, and we’re glad to be in such a great company. Besides, in Netherlands you can now buy TNI 2 from local distributor and get customer support in Dutch. Isn’t it wonderful? We are pleased to announce that starting August 1, 2013 EBERTLANG becomes the exclusive distributor of Softinventive Lab products in Germany, Austria and Switzerland. Since established in 1995, Wetzlar-based EBERTLANG Distribution GmbH has had its focus on the wholesale of Software for IT professionals. Today, the company is one of the leading value-added distributors in German-speaking Europe. Besides classic sales activities and access to more than 6,500 IT professionals, focused especially on small and medium-sized businesses, EBERTLANG supports software producers in launching their products, the localization of Software and appropriate sales strategies and ensures a constantly growing brand awareness. We are very excited about this cooperation!